Andrew Luck calls Saturday night’s matchup with the Cleveland Browns a “dress rehearsal” for the regular season. That rehearsal will take place inside of Lucas Oil Stadium with a heightened focus in regards to preparation. “We’ve been game planning almost to the point if it was a regular season game,” Luck said on Thursday. Starters are expected to play into the third quarter and Luck pinned an efficient offense with long, sustained scoring drives near the top of his goals for preseason game number three. Those goals will have to come against a Browns defense that has been stifling during the preseason. In seven possessions for the first-team Browns defense, the unit has allowed just three points. 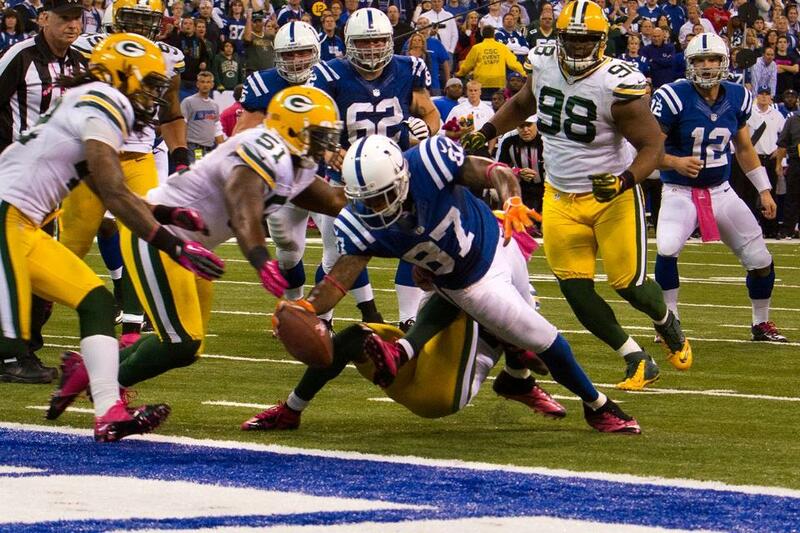 Reggie Wayne and the Colts receiving group will be looking to change those numbers on Saturday. Wayne speaks glowingly of what he’s seen from the receiver group and credits the jump the unit has made since OTAs. “I see a big change in this group. We are very talented,” Wayne said of the WRs. “Guys that want to go out there and do well. We’ve got some explosive guys that can make big plays. This marks preseason No. 13 for Wayne and despite all the accolades to his name, he made it clear that he is still “fighting for a spot”. Wayne will find his name on the Colts 53-man roster come September but several receivers currently on the team will not be so fortunate. Watching Wayne’s emotion on the sidelines late in the second half of Sunday night’s game against the Giants indicates exactly how much he wants to help out the aspiring receivers. “I want them to go out there and put their best audition tape out there,” Wayne said.